I've been thinking more and more about how my design will be bioclimatic, i.e. major rooms orientated to the south, operable windows located in strategic places to allow for natural cross ventilation, designing eaves to overhang the south facade windows to shade the summer sun but allow the winter sun to enter, a radiant floor system powered by a water heater using solar energy, employing thermal mass, balanced daylighting/indirect lighting. I think the shed design is still my favorite in section. 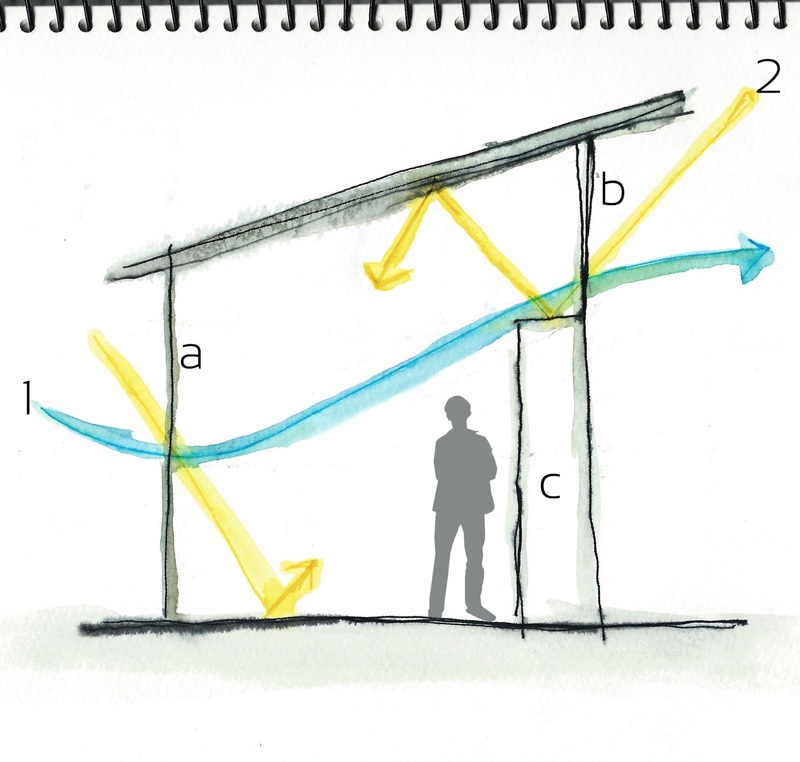 I've seen several designs that utilize clerestory windows and sliding doors for cross ventilation. The top of the kitchen storage can serve to diffuse light into the space.